Barry Fraser, of Grant Thornton. An international business and financial advisory firm’s expansion plans, which will see it move from Aberdeen’s west end to offices in a new landmark city centre development, have been hailed as a further sign of returning confidence in the area’s economy. Grant Thornton, which opened its operation in the Granite City in 2016, said its decision to quit its base at Queen’s Road, to relocate to the Silver Fin building on Union Street, was part of a long-term growth strategy. 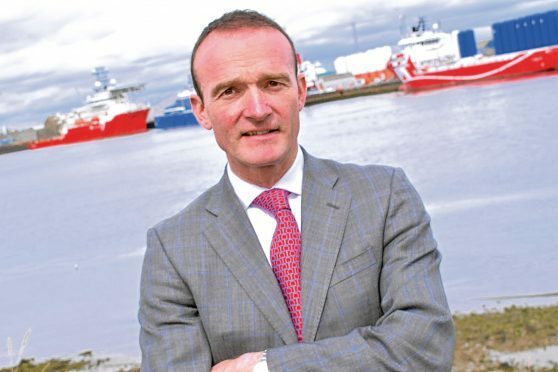 The firm, which says it has secured contracts totalling more than £4million over the past two months, has made a number of senior appointments since launching its Aberdeen branch. The company’s relocation was welcomed by Arron Finnie, a partner and head of agency in Aberdeen for property management firm Ryden, which assisted with the move. Mr Finnie said: “We’re delighted to welcome Grant Thornton to this stunning new development right in the heart of the city centre. Grant Thornton said additions to its Aberdeen team had enabled it to provide a full range of audit, tax and advisory services. The firm added that it had signed up with a wide range of new clients in the north-east, ranging from owner-managed and private equity-backed companies to major global corporates. The firm’s director in Aberdeen, Barry Fraser, said: “When Grant Thornton opened its first office in Aberdeen 18 months ago, we saw a gap in the market and had a clear view of how to differentiate our service to clients. There has been strong market interest in a fresh approach with high-quality and consistent service, delivered locally by a senior team closely supported by Grant Thornton’s international network in over 130 countries. According to recent figures from property consultancy CBRE Scotland, last year saw an 85% increase in take up of office space in Aberdeen, compared to 2016. Headline transactions highlighted by the firm included Chrysaor taking the majority share at The Capitol, next to the Silver Fin building.